Our MD was a very expert in Hardware sector. We are teaching IT related and Business related courses. Last year good employer and training of Placement linked Training project in our area. Our teaching, handling of the student is different from others, it is different from working and practical knowledge working place. Monday to Sunday 9 am to 7 pm, it will extend for the student requirement upto 9 pm. 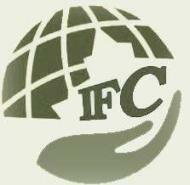 IFC conducts classes in Adobe Photoshop Training, BBA Tuition and BCom Tuition. It is located in Anthiyur, Erode. It takes Regular Classes- at the Institute and Online Classes- via online medium.